Part of the Connecticut Wedding Group, The Barns at Wesleyan Hills offers couples a picturesque setting in Middletown, CT with indoor and outdoor options for their wedding day. The grounds of the barn wedding venue feature gorgeous willow trees, a lake and acres of green lawns. 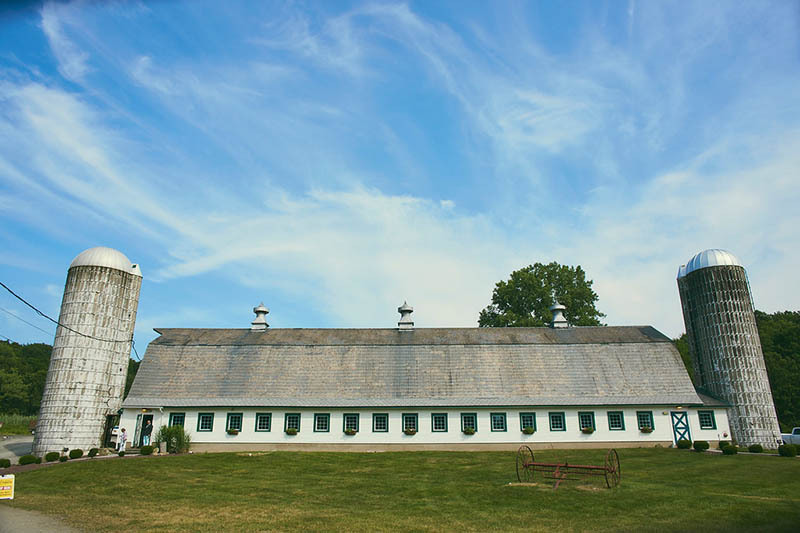 The barns include an authentic 150 year old dairy barn (The Big Barn) in addition to a newly constructed barn (the middle barn) and little barn that is perfect for your cocktail hour. All the barn wedding venues include heat and air conditioning so you can step back in time comfortably! Our photography and video team had a great time working at this venue and describe it as rustic meets elegance. The inside of the CT wedding venue is decorated with beautiful sheer drapes and a sparkling chandelier! The drive from NYC is under two hours so you and your guests don’t have to travel far to enjoy this beautiful rustic wedding venue. The Barns at Wesleyan Hills offer several inexpensive wedding packages to choose from for your big day. Long Island Wedding Venues are known to have some of the best waterfront wedding venue options in New York , but for couples seeking a barn wedding venue close to NYC Long Island also offers a great option at The Barn at Old Bethpage . The historic venue is part of the Old Bethpage Village Restoration , a living museum that offers visitors an opportunity step back in time for a day! (no smartphones allowed) The village consists of 36 houses, barns and buildings dating back to the 1600s! 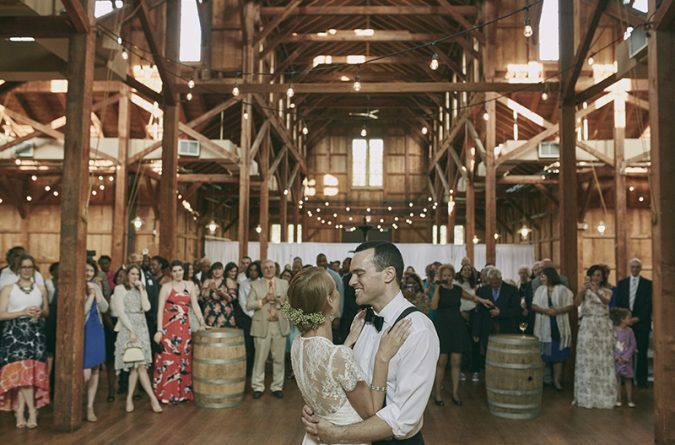 The barn is offers over 8,000 square feet of space that can accommodate up to 300 guest for your wedding day. 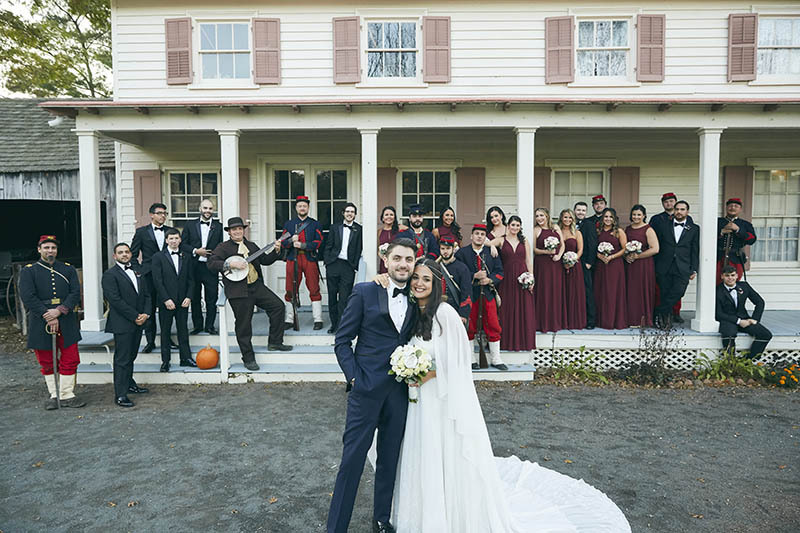 With high ceilings and wooden beams, the rustic setting of this beautiful Long Island venue will make your guests forget all about Facebook (for a day)! Our photographers and videographers have worked at the barn wedding venue several times and always capture beautiful wedding photo and video at The Barn at Old Bethpage. The rustic wedding venue even offers an affordable “Old fashion” menu! Only an hour ride from NYC, NJ wedding venue, Perona Farms has been offering affordable wedding packages for over 100 years! The NJ wedding venue owns and operates 3 wedding venues on the grounds including a Barn wedding venue! Couples can book the rustic barn wedding venue only or a combination of the three. Located on the countryside, couples getting hitched at Perona Farms enjoy a beautiful natural setting with indoor and outdoor options. Couples can have their first look on the handcrafted bridge over the lake followed by beautiful wedding portraits on the grounds. Our photographers and video team love working at this venue and were really impressed with the staff’s attention to detail. 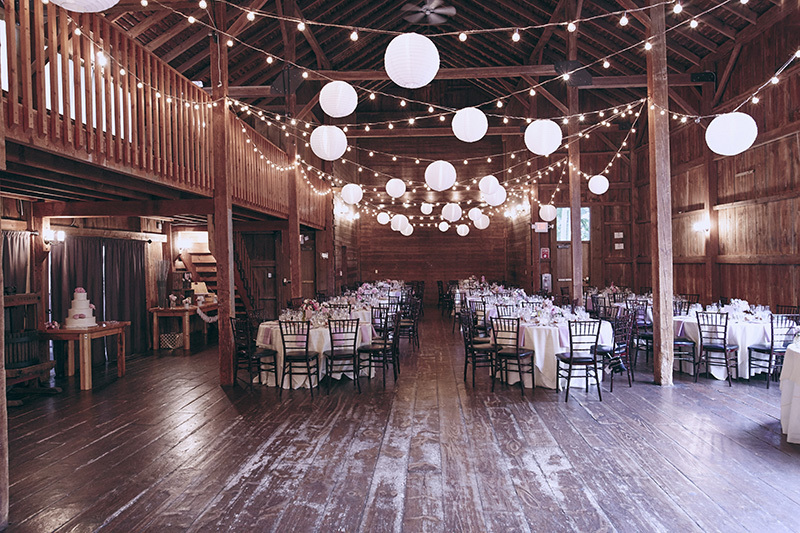 The barn wedding venue can be decorated with rustic elements like wine barrels and hanging lights or drapery to give the setting an elegant feel! 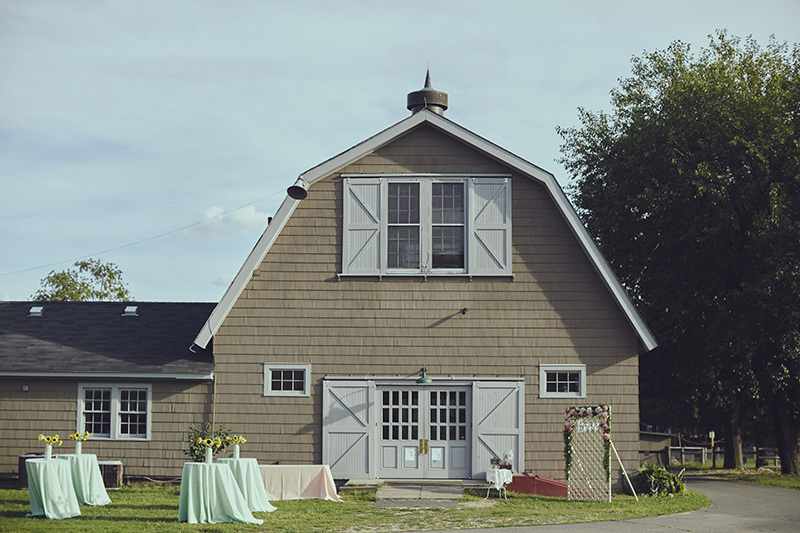 NYC couples who want a barn wedding but don’t want to leave New York City are often surprised to find out that Queens, NY is home to a barn wedding venue at the Queens County Farm. Not only does the unique NYC wedding venue offer a real barn for wedding celebrations.. the farm is also home to live animals and 47 acres of sustainable land. Our photographers and videographers have worked at this affordable NYC wedding venue several times and love it! Besides hosting your celebration in the barn wedding venue, Queens County Farm also offers outdoor space for your big day with a tented area for your ceremony and/or reception. The wedding venue is extremely affordable option in NYC with packages starting as low as $300 per hour! The barn itself can accommodate up to 120 guest and is perfect for intimate to medium size wedding celebrations.